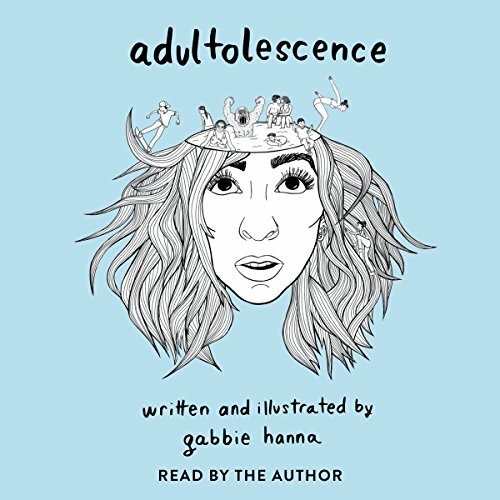 From Teen Choice Award-nominated comedian and vlogger Gabbie Hanna, known on YouTube as The Gabbie Show, an astounding debut poetry collection that captures the essence of what it means to come of age in today's world. ©2017 Gabbie Hanna (P)2017 Simon & Schuster, Inc. All rights reserved. I already know that Gabbie is talented from watching her YouTube videos, then seeing her go on tour and do stand-up comedy and dance videos, before she came out with this book and her song Out Loud. I'm beginning to think there isn't anything she can't do. I knew this book would be good but I was not prepared for the things it would make me feel. Gabbie knows us, and it's made clear in every poem. My favorite was Dolly. I must have listened to it 20 times in a row. Overall, I recommend this book to anyone in general but especially to anyone struggling and living with depression and/or anxiety because it's really good to know that someone else understands what we're going through. Thank you, Gabbie, for inspiring me with your talent, making me laugh with your videos, and seeing me as a person through this book. I can't wait to see what you'll do next! 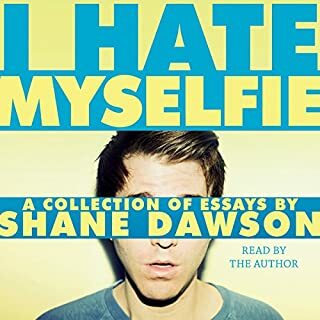 Being a fan of Gabbie, I thought this book was going to be all about her, I was pleasantly surprised after listening to it, some of these were so deep I wanted to cry. 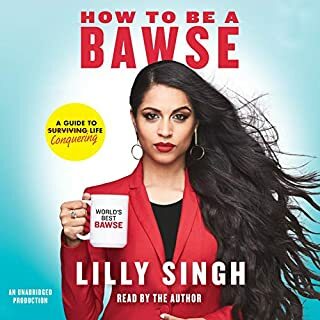 This book is amazing, it won't let you down, she goes over different topics and has different stories to tell, the life advice can get you places if you try them, I'm happy I got a chance to get the book and listen to it! I love her poem just wanted to write to let you know how much I appreciate the positive influence you've had on my life. Thank you for your concern and useful advice! I’ll be forever grateful. You inspired me during a difficult time when I needed words of encouragement. You don’t even know how much your help meant to me. Thank you. Gabbie Hanna, you are such an inspiration! You make me want to cuddle with my demons and thank all the boys who gave me heartache, because even though I could of done without demons and heart aches, they made me who I am. 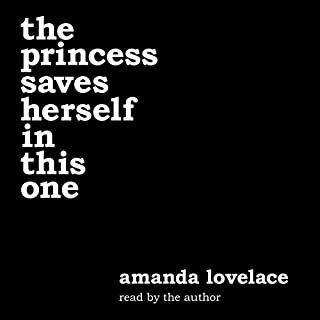 I loved your enthusiasm you put behind your words and I'm so happy your voice is the one I hear when I listen to this book on repeat. I'm going to buy this book and highlight and bookmark my favorites, hope that's okay. For those of you whose wondering this book needs no explanation its so good just listen or read it. Listened to the whole book in hospital. I love Gabbie and everything she does !!! Love the story ,love absolute everything about this book and about Gabbie and I'm sad because where i live i can not find this book so i bought it online because i love and support gabbie to the moon and back !!!! I loved this book and it's amazing! Wow! Everyone should read it, you'll love it! I absolutely loved this book, it made me laugh and think. The narrator was very clear, I definitely recommend a listen. I love this book, the journey it takes you through. It's amazing. I totally recommend it. It's helped me get through a rough day. Thank you gabbie. I love this book. I originally got it as an audiobook and as soon on as I started listening I didn't want to stop. 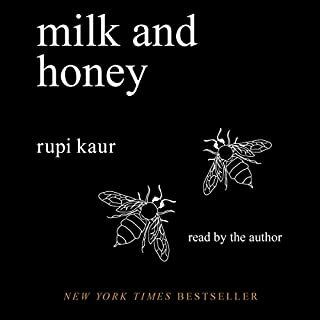 Some of the poems are funny and quirky others are deep and relatable, most of them reflect real life feelings and emotions. "Dolls" is one of my favourite as Is "cut" as they both have final lines that you didn't see coming. I bookmarked many other poems which I relate to and find inspirational. Over all this book was definitely worth listening to twice. And now that I've finished listening again I'm definitely going to go buy a hard copy so that I have the poems on hand at all times to inspire me, lift my mood or feel like someone else understands me. Gabbie did a wonderful job writing this and I'm so proud of her and all she's achieved these past months. I was excited for the release of this book and now that I've heard it it lives up to every expectation. She executed the story of each perfectly and even included humour where is counted. I would definitely recommend this to a friend; even if they weren't a fan of her YouTube channel and even if they didn't follow her on vine back in the day. 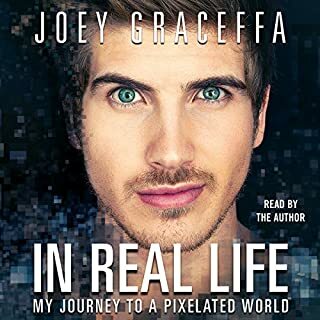 It's not a typical "YouTuber" book. It's meaningful, insight and inclusive.